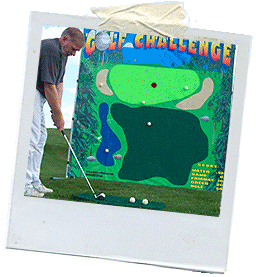 Test your golfing skill with our 7’x’7’ frame golf game. Participants use a real golf club to try and score points on the frame. You can design the game to give away prizes or just play for fun. A great addition to any carnival.